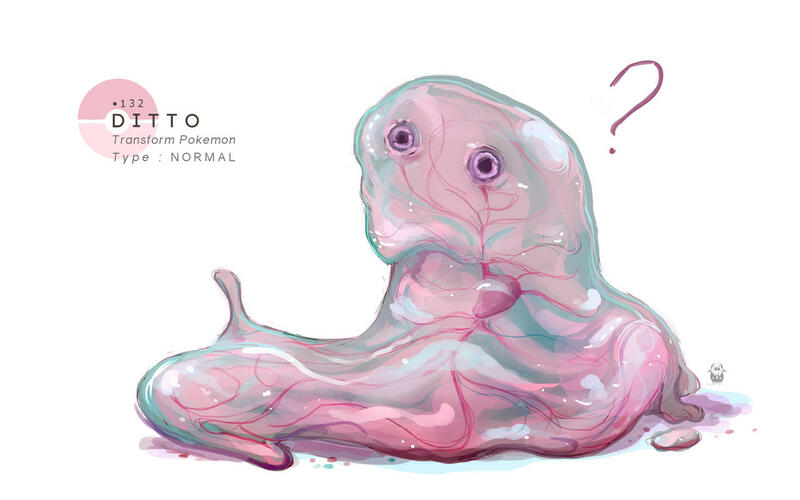 As you may recall, Ditto is the pokémon that has the ability to mimic other creatures it sees. And that’s exactly what Ditto does in the game: hide under the guise of other pokémon. In order to catch Ditto, you may have to catch a bunch of other scrub pokémon to find the real deal — even the Pidgeys and Rattatas. How else was Niantic gonna make sure you kept walking around and playing? Once you have Ditto, you can take it to battle at the gym, where it can transform itself to copy the first pokémon it sees and retain all the moves for the remainder of the fight. If it sees another Ditto, however, things stay the same and you’ll just have to aggressively tap your way to defeating the opponent. Ditto will now be added to the game permanently, but Niantic hasn’t said either way. It is clever to tie this stealth Ditto release to this Thanksgiving bonus XP and Stardust event, however, as fans will be avidly hunting for him and getting bonuses (and spending money) in the process. So far, it seems that some of the most common Pokémon are the ones secretly hiding Ditto. I have heard of Rattatas, Pidgeys, Spearows and Magikarp all turning into Dittos. He shows up not just in the wild, but if you use lures or incense as well. If you just play casually, and put your phone down after the Pokeball clicks for a capture, you might not have even realized you caught Ditto, as this is a totally new mechanic. I’ve heard at least one story of someone casually catching Ditto without even realizing it until they checked their recent catches. But if you stick around, there’s a short cutscene where you will see Ditto reveal himself, so now you should be paying special attention to every catch you make. Other Ditto facts: Ditto is a global spawn, meaning if you and your buddy see the same Pidgey and it transforms for you, it will transform for them as well. There are no reports that Ditto can hatch from eggs yet, but I can now confirm that he can come from incense, as I wasn’t sure about that before because I’d only heard limited reports and those spawns are not global. You can catch multiple Dittos, which has also been confirmed, though I’m still trying to figure out how likely you are to run across him. I’ve started to burn incense myself, but no luck yet from the Pokémon that have shown up. I’ve seen a number of reports of people catching him, but it’s hard to measure that against the mammoth player population of the game worldwide. If your family is anything like mine, they’ll be pretty convinced Pokémon Go is still very much a thing and won’t question much if you decide you’ve had enough Thanksgiving and need to go for a Ditto hunt. At least that’ll be my excuse to step out of the room. Previous articleSingapore Formula One Night Race Is Over?